New home buyers may have a combination of traits that allow them to live healthy, sociable, satisfied lives. They seek novelty. They are often uninterested in finding a home that was built for and lived in by someone else. Persistence is another trait that helps them find just what they are looking for. They can imagine what the future holds if they try something new. They feel a deep connection to their home and its surroundings. Take our new home buyer personality test to see if you would be happy moving into someone else’s home or building your own custom home. Answers range from Strongly Disagree (1) to Strongly Agree (5). 1. 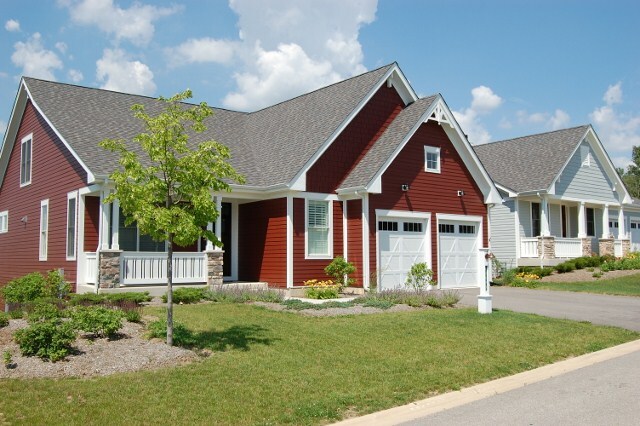 Most houses are the same; they just have different exteriors and sizes. 2. High performance construction materials are important to me. 3. I prefer traditional spaces rather than flexible interior environments. 4. I like to explore and enjoy the exterior environment that surrounds me. 5. It’s important to me to achieve my goals. If you agree or are neutral about statements 1 and 3 above, you are likely to be happy buying an existing home. If you find yourself agreeing with statements 2,4 and 5 above, you are more likely to enjoy building a new custom home in a unique environment. 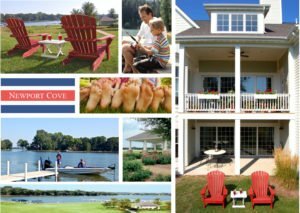 New American Homes’ thoughtfully designed custom houses in its Newport Cove waterfront community, located 30 miles northwest of Chicago on the Chain O’ Lakes, may be the answer for you. ← Do You Own the Home You Need?